This complete 2t/h wood pellet plant can process pine, oak, beech wood pellets etc. From wood debarking to wood pellet packing. Other capacity can be customized. 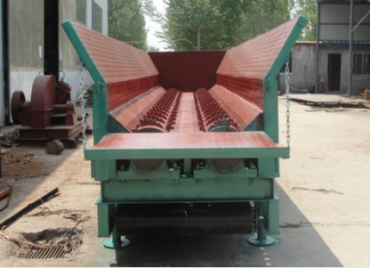 Our wood debarking machine is designed specially for removing the barks of wood logs with high debarking efficiency >95%. The machine is made up of main body, motor, reducer, roller, belt. It is powered by electricity, the motor drive the reducer and then pass the strength to the roller. During the roller running, there is teeth on the roller, the teeth can move the bark of the wood logs. Then the barks will fall down to the belt and transfer it out of the machines. 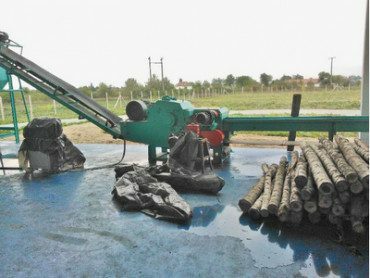 The wood logs will come through the debarking machine and discharge the wood at the end. 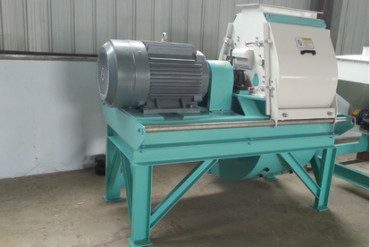 Drum wood chipper is an ideal equipment to produce large capacity and good quality wood chips. 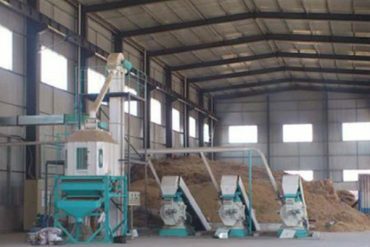 Which is widely used in wood chips production industry, paper plants, particle and fiber board plants, etc. This machine is made up of machine base, knife roller, feeding roller, belt conveyor, hydraulic pressure system components. The machine base use high strength steel, which is the supporting of the foundation. The knife roller equips two blade to cut the materials. The feeding roller can fluctuate in a certain range with the help of hydraulic system according to the thickness of different raw materials. The qualified chips falls through the sieve hole, and the big pieces can not come thought there, so they will be chipped again to be qualified. The best moisture content to pelletizing is 13-15%. 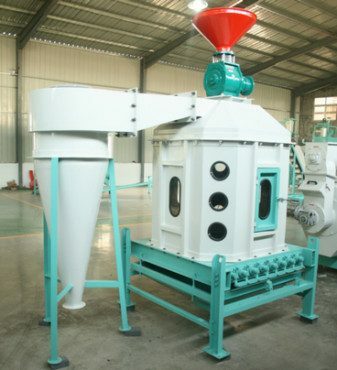 Our rotary dryer is designed specially for drying the sawdust, wood shavings, wood chips, sugarcane bagasse and other small size high moisture contain material. The heating source of the dryer is pellets, wood, briquettes, coal and any biomass material, feed these material into the stove and provide heating to whole system. The rotary drum dryer is made up of stove, rotary dryer main body, air fan, cyclone, air lock, pipeline and electric control cabinet. 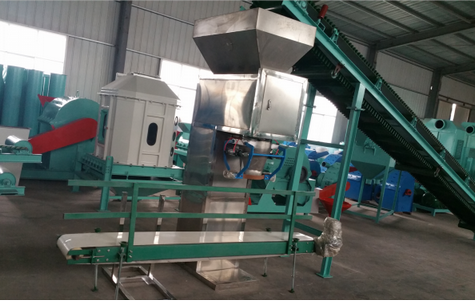 The rotary dryer can reduce the moisture of the raw material from 55% to 12%, to make it suitable for produce briquettes and pellets. It adopts hot air to reduce the the moisture content of the raw material. The hot air is generated through heat stove at one end of the rotary body. Then the hot air will flow with the help of air fan’s suction and when raw material comes through the rotary body, hot air pulled over the material and they product heat exchange, thus the material will be dried with high efficiency. ill be continuous with the high speed move of the blades. Wood chips will be ground by the impact force from hammers and friction force from sieve plate. 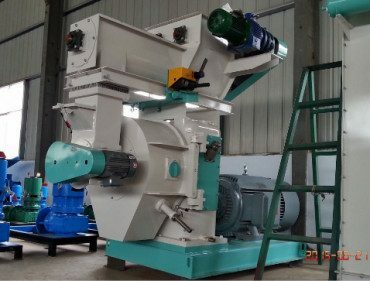 Our hammer mill adopts water drops shape grinding chamber which causes more times impact force and enhances grinding efficiency. Particles would come across the sieve with the help of centrifugal force and wind power. 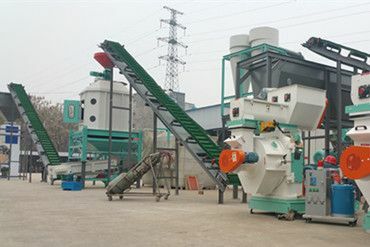 The ring die wood pellet machine is the main equipment in the production line to make pellet. It compress the dry finely pulverized material and transform them into a cylinder shape pellet at a temperature of 80 degree. The raw material is delivered into the pallet machine though the conveyor and then transferred into a rotating ring die by a feeder. Finely pulverized material will be pressed into ring die through two press rollers. The resulting pressure compresses the material and extrudes it through the holes in the die. Driving gear adopts the high precision gear transmission structure. The bearing is SKF brand from Sweden, which is efficiency and durable. The ring die adopts the couping fastening method, which is increasing the speed of discharge comparing with the past bolt fastening method. As a result, the capacity is 10-15% higher than the belt transmission structure. As per the ring die and roller of the wood pellet machine, we have the fine machining with the alloyed steel. And our heating treatment is also different from the other domestic manufacturer. Our carburizing treatment make the depth of hard facing to 2mm, which improve the anti-abrasion of the ring die and roller more than 10 times, it can save the production cost heavily. 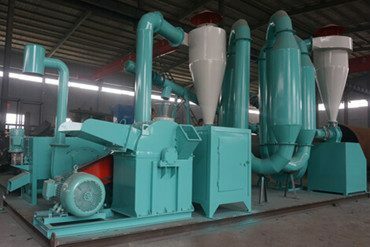 The wood pellet cooler is used to reduce the temperature and moisture of the pellets, thus to acquire better hardness and strength. Also it can enhance the transport ability and storage ability. The vibrating screen after the cooler is used to removes underside produce and dust, which can be returned to the pellet mill. The cooler process is the refined technology of exposing processed product to an upward moving stream of ambient airflow. As the air rises through the product, it is warmed, increasing the moisture carrying capability of the air. The product entering at the top of the cooling chamber is exposed to the warmest air available within the cooler. The product and air have opposite flows, the gradual heat transfer greatly enhances the product quality and reduces stressing and fines.